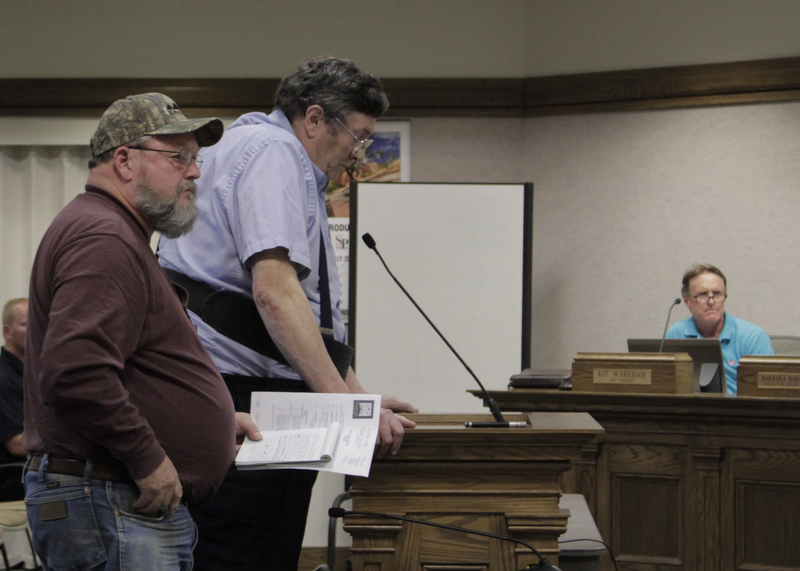 CEDAR CITY – The lives of first responders, and providing quick and easy access to video and audio files from Cedar City Council meetings, were the topics of discussion in the sparsely filled council chambers Wednesday night. The council took a moment at Wednesday’s meeting to recognize and pay homage to Utah Highway Patrol Trooper David Schiers, who was injured Monday while responding to the scene of an accident on the side of Interstate 15. Schiers was talking to the driver of a car that had been involved in an accident and was waiting for backup from the Cedar City Fire Department. 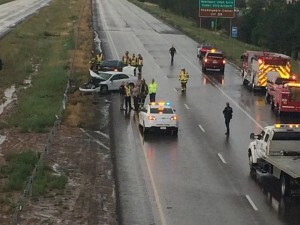 As he was standing at the side of I-15 talking to the driver, another vehicle hydroplaned and crashed into the car, pinning Schiers beneath it. Review of Schiers’ dashcam video shows the Fire Department pulled up to the wreckage only about 30 seconds after the accident involving the trooper occurred, Councilman Paul Cozzens said. Had the Fire Department responders been any earlier, there could have been many more injuries to be accounted for, he said. “It was a real tender mercy that they weren’t there any earlier,” Cozzens said. Since the approval of minutes takes so long, it was posited by two community members, who spoke up during the public portion of the council meeting, that – in a technological era – access to digital reference materials should be much more immediate. Wade Grimm, a supporter of Haight’s request, also spoke to the council. Acquaintances know Grimm to be a frequent attendee at Cedar City Council meetings, and he said multiple people have requested his assistance in finding videos from previous city council meetings, which he said were difficult to locate and not up to date. “I have had better than 30 people ask me in the last week-and-a-half, ask me how to access the video dates on the website,” Grimm said. At the meeting Wednesday night, Haight said he could only find about six videos, and none of them were current. The cameras were installed for live viewing opportunities and to engage members of the public who couldn’t otherwise attend the 5:30 p.m. Wednesday meetings, due to whatever schedule conflicts they may have, Cozzens said. He agreed with the two men and asked administration to please see to it that videos are more quickly made available to the public, if at all possible. As of Thursday night, there are 11 videos available, beginning with the May 6 meeting, in chronological order up to Wednesday night’s meeting. The videos would have to rotate out based on how much storage space is available to the city on their website, Mayor Maile Wilson said, explaining that unavailable dates would have to be sought after through other means. Many residents are unaware of the channels they are required to navigate in order to gain access to files that have been removed for a lack of storage, Grimm said. He and Haight go about it by contacting Cedar City Recorder Renon Savage and paying $5 for a disc with the audio files on them. He reminded the council that many others are not so willing to relinquish $5 to simply view records they believe should be made available to the public at no cost.